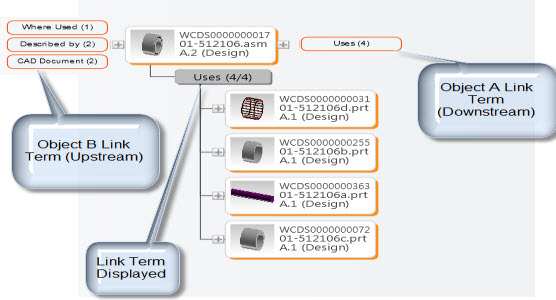 In PTC Windchill 10.2 M010, PTC Windchill MPMLink objects and relationships are supported in the Relationship Explorer. In PTC Windchill 10.2 M010, use the Relationship Explorer to navigate PTC Windchill MPMLink objects and relationships. You can also explore the interdependencies between EBOM and MBOM structures. Use the Relationship Explorer to navigate PTC Windchill MPMLink objects and relationships and explore interdependencies.